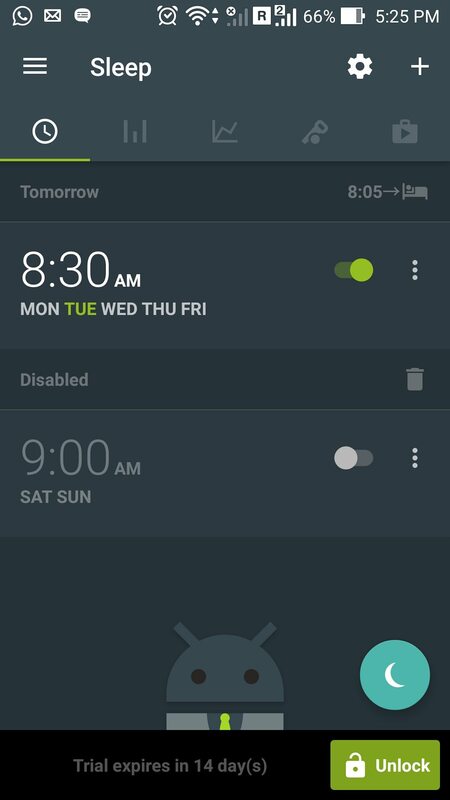 Starting iOS 10, the “Bedtime alarm” feature comes baked into the default Clock app. On the first run, you are required to select your bedtime and your preferred time of waking up. Here on, your device will send you a reminder when it’s time to go to bed. This reminder is customizable and can be set to trigger either certain amount of time before bedtime or on exact bedtime. You can also change the wake-up sound and volume. 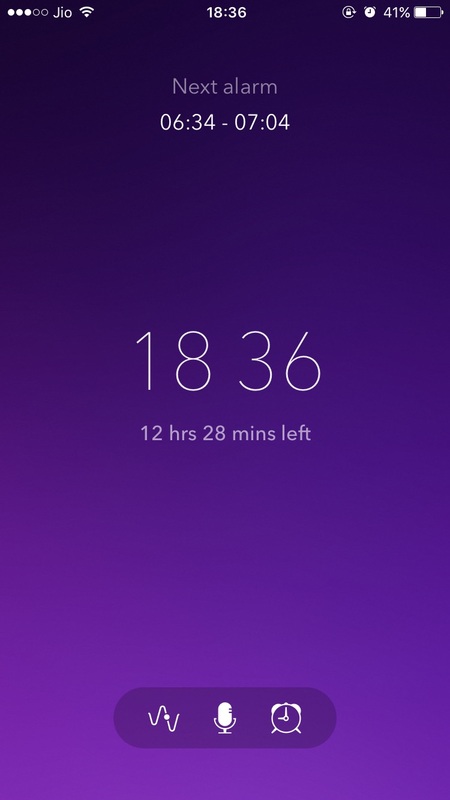 The Clock app shows you a visual representation of your sleep grouped by day. 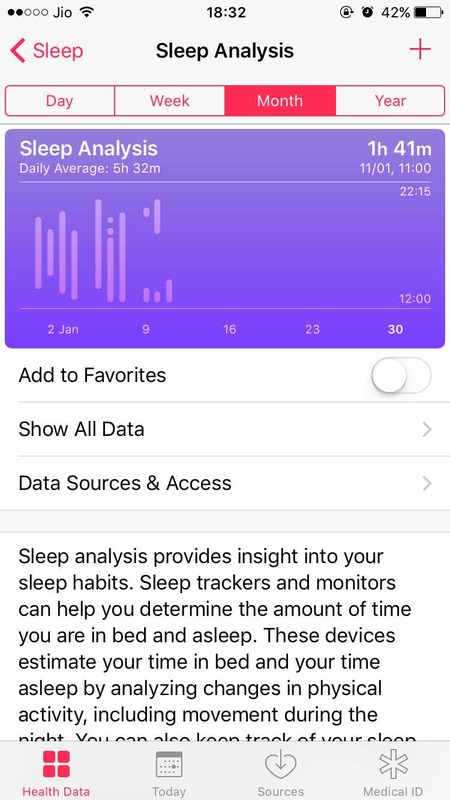 The “Sleep” section of the Apple Health app stores all the sleep related data. Here, you can view how much time you slept grouped by day, week, month or a year. This tracking is made possible with the help of Apple’s motion co-processor introduced with iPhone 5S. It is also very battery efficient, so it eliminates the battery drain concerns. That being said, Apple’s default option doesn’t offer any fancy features. 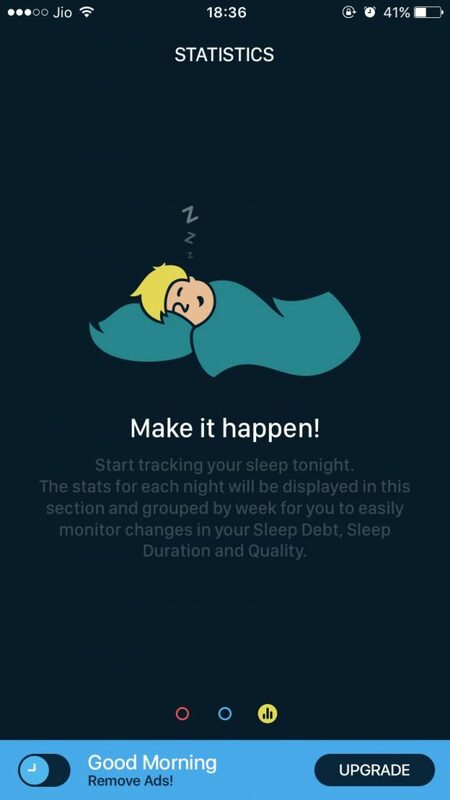 Fortunately, if you’re looking for more options to tweak around, there are a lot of good sleep tracking apps that can help you accomplish that. 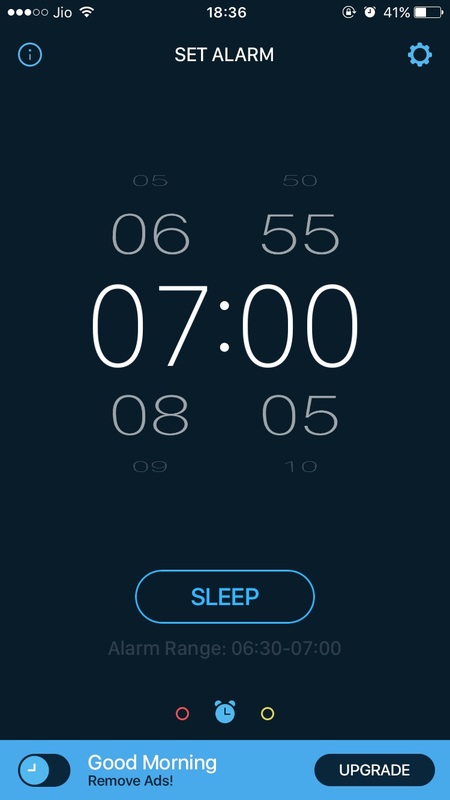 Sleep cycle is a pretty simple yet powerful sleep tracking app. Just set the time you want to be woken up and place your phone beside you. Sleep cycle uses your phone’s accelerometer sensor and microphone to analyze your sleep throughout the night and wakes you up in the lightest phase of your sleep, just before your main alarm goes off. This sleep data is plotted on a graph and you can easily see your sleep phases over the course of night. It also throws in some other metrics like sleep quality and average sleep time. The free version of Sleep Cycle allows you to change the basic options like vibration, sound, and the wake-up phase. The premium version brings in a host of new features — including online backups, sleep notes, wake-up mood, and Philips hue integration. 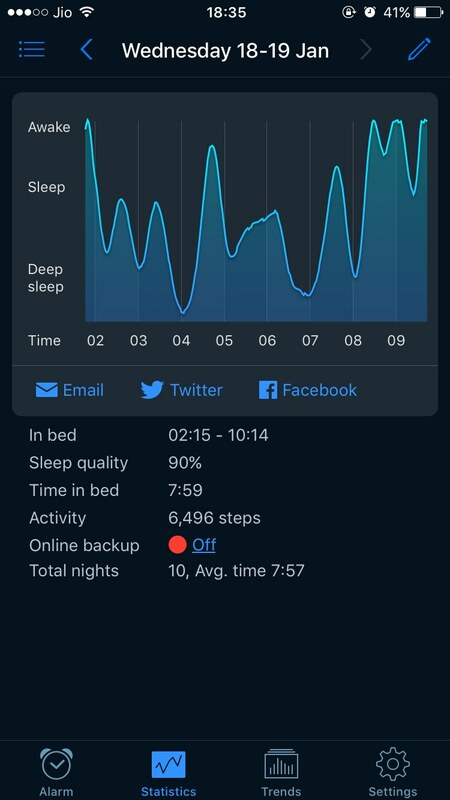 Perhaps the best part, the premium version enables a new “Trends” tab which displays a whole lot of interesting sleep statistics like how caffeine, workouts, air-pressure and local weather affects your everyday sleep. If you’re a data nerd like me, upgrading to Sleep Cycle premium is totally worth it. 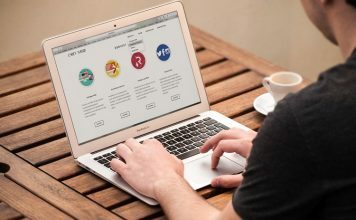 Runtastic has established itself as a reputed developer when it comes to health and fitness section of apps. 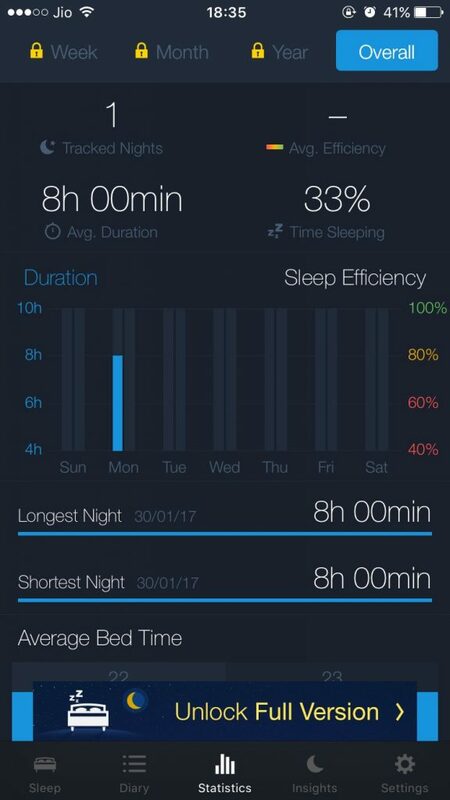 Sleep Better is Runtastic’s take on the sleep tracking app and boy, I must say that it lives up to its name. Just set the time you want to wake up and Sleep Better will wake you up gently in your lightest phase of your sleep, just before the main alarm. The free version features an inbuilt sleep diary where you can write down a brief record of your sleep and dream notes. 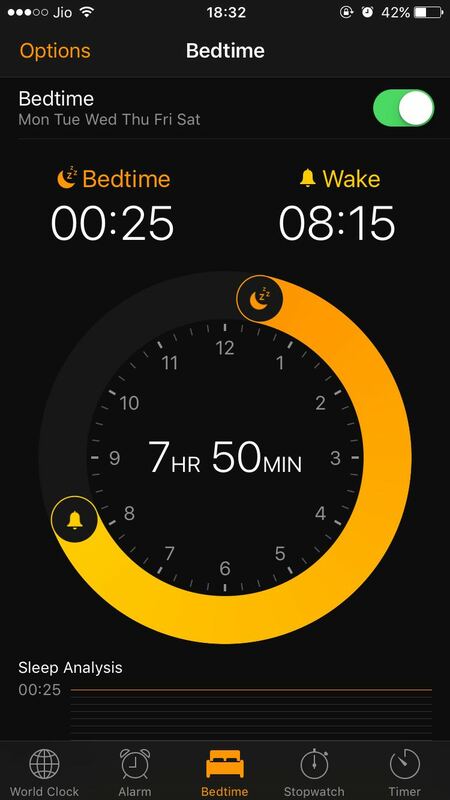 You can also connect to the Apple Health app, so it can write your sleep data to the Health app. The premium version presents you with the option to include certain scenarios like stressful day, alcohol and caffeine so you can gain insights on how these factors affect your everyday sleep. Moon phases also have the ability to affect your sleep and it can help you discover on which moon phases you have the most peaceful sleep. Sleep Time is another popular alternative which tracks your sleep and wakes you up in your lightest phase of sleep. Sleep Time presents you with an intuitive slider to set an alarm and adds in a handy timer to show how much time is left before the alarm goes off (One feature I miss from Android’s Clock app!). 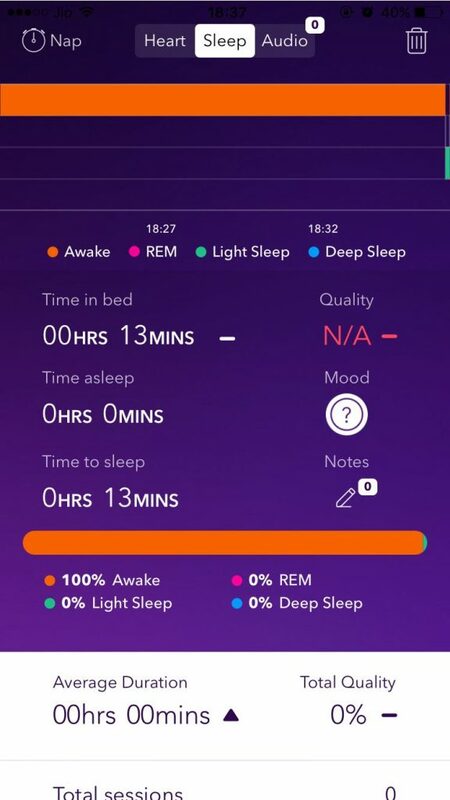 Like other competitors, it also allows you to record certain scenarios like Caffeine, alcohol, and tobacco and gain insights on how these factors affect your sleep. It features a dedicated “Soundscapes” tab which is home to lots of natural sounds which can help you fall asleep faster. It also integrates with Apple’s Health app. The premium version of Sleep Time unlocks a lot of sleep insight reports like sleep efficiency, average sleep time and a lot more. 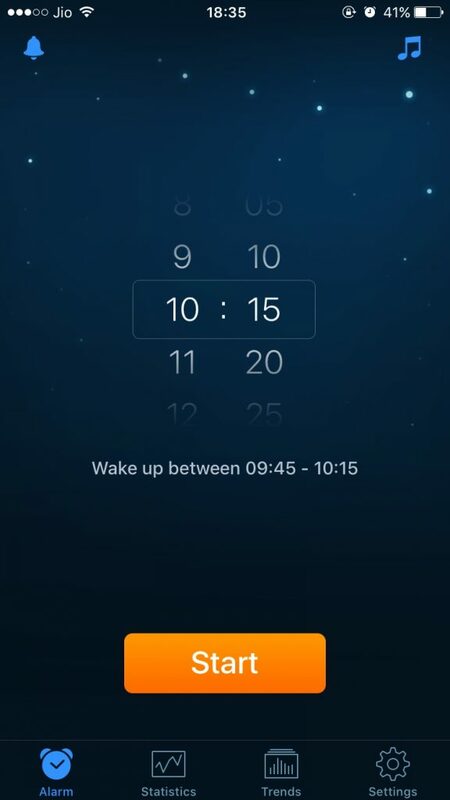 Good Morning is a simple sleep tracker app that monitors your sleep using sensors and wakes you up at an optimal time. It presents you with easy-to-read graphs to analyze your sleep quality over the night. 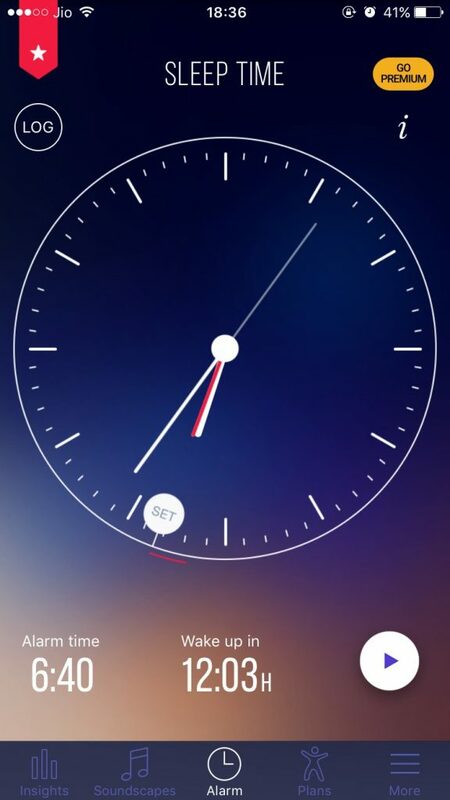 You can select one of the several built-in tracks or even use your custom tune to wake up to. 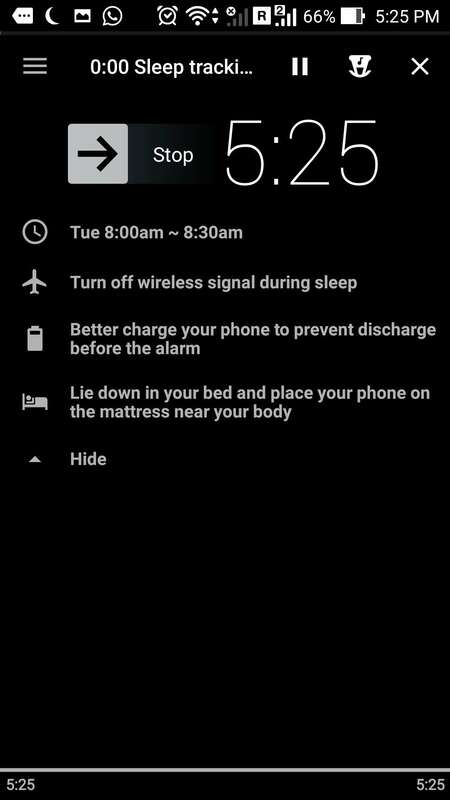 The settings pane also includes a handy “Placement Test” option which allows you to test if the current placement of your phone is good enough for sleep tracking. It also presents you with the current weather as soon as your alarm goes off. The premium version of Good Morning removes the in-app advertisements and the persistent bar which nags to upgrade to the premium version. Pillow is an iOS-only sleep tracker app which wraps the best of sleep tracking into a beautiful app with slick animations. 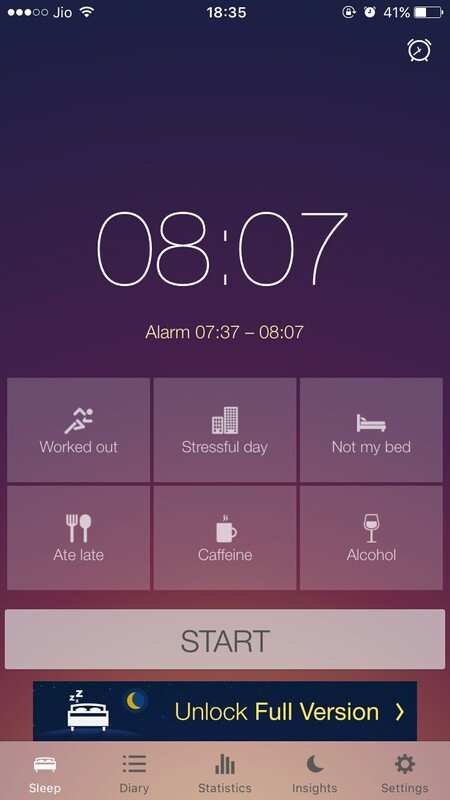 As soon as the alarm goes off, you are presented with an option to record your wake up mood or jot down sleep notes. It also syncs your data with iCloud and Apple Healthkit. You can use any inbuilt tunes to wake up or select a song from your iTunes library. The “Sleep Aid” feature is a collection of natural sounds to help you fall asleep faster. It also has 3D Touch support for iPhone to quickly set-up an alarm. Pillow’s premium features include even more advanced Healthkit integration, detailed sleep statistics, and Snooze Labs which offers you personalized sleep tips. Sleep as Android is an Android-only sleep tracking application which ticks all the boxes when it comes to features. 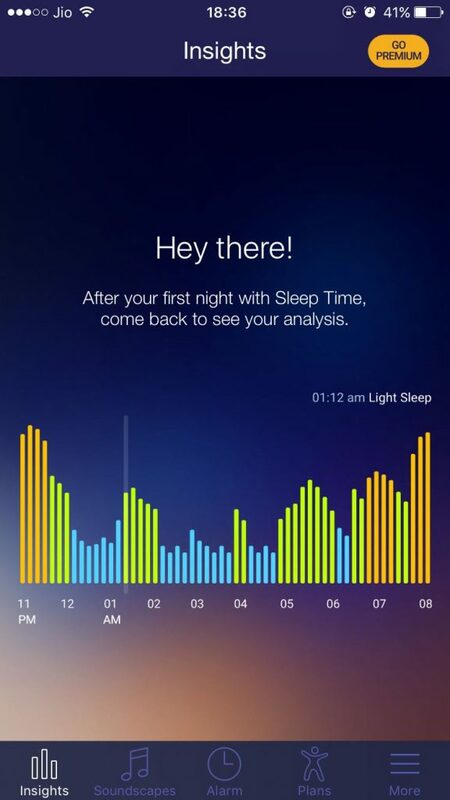 Along with the basic sleep tracking, it tracks your sleeptalk and snoring using your Android’s microphone. It also has a lot of features to wake you up forcibly like solving math problems, counting sheeps to stop the alarm. Lots of lullabies are built into it to help you fall asleep faster. It integrates nicely with Pebble, Android Wear, Google Fit, S Health and Philips Hue. Given its long list of features, it may seem a little intimidating at first. But fear not, once you get used to it, Sleep as Android is the single-most app you’ll ever need for sleep tracking on your Android. Which Sleep Tracking App Do You Use? I’ve used all of these apps on my mobile devices and I’ve personally come to love Sleep as Android on Android (duh!) and Sleep Cycle on iPhone after months of use. You couldn’t go wrong with any sleep tracking from this list, though. So take your pick and let me know what’s your favorite sleep tracking app in the comments section below.